Actor Michael B. Jordan (center) is surrounded by local actors in a scene from Fantastic 4. 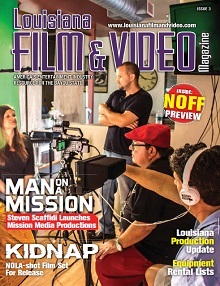 Recently, Louisiana Film & Video Magazine had the opportunity to speak with Liz Coulon of Coulon Casting about her work on Fantastic Four which shot last summer in Baton Rouge. Even though Coulon’s company is located in New Orleans, Coulon cast approximately 40 local and regional actors for speaking roles in the upcoming comic book movie adaptation. Louisiana casting director, Elizabeth Coulon. Actor Miles Teller (center) also works with some local cast. New Orleans casting director Liz Coulon was responsible for finding approximately 40 local actors for speaking roles in Fantastic 4. “On a large studio production such as Fantastic Four, there are several levels of approval that an actor must pass before booking even the smallest speaking role,” adds Coulon. The secrecy surrounding large tentpole films is incredible. Fantastic Four was no exception. “With Fantastic Four, we had to be very careful to not give away any important plot points. Sometimes we changed names on the script pages that we released to actors. Other times, we used fake scenes,” notes Coulon. Actress Kate Mara as Sue Storm/The Invisible Woman. Actor Jamie Bell as Ben Grimm. 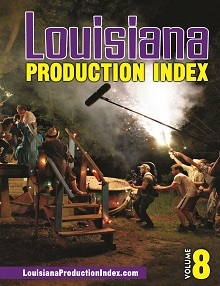 Coulon started her career as an agent in the casting business shortly after Louisiana first introduced the tax credits. After casting background for more than 25 films, Coulon began casting local speaking roles for indies and eventually graduated to larger films such as 21 and 22 Jump Street, Terminator: Genisys, and the TV series Scream. Recently, Coulon has done casting work for Geostorm and The Magnificent Seven. With all of her experience in the industry, she has some great advice for actors interested in being a part of Hollywood South. Kate Mara and Michael B. Jordan. You can catch Miles Teller, Kate Mara, Jamie Bell, Michael B. Jordan and some great local actors when Fantastic Four debuts in theaters nationwide on August 7th.